a) Explain, in your own words, what determines whether two or more components are connected in series. b) Explain, in your own words, what determines whether two or more components are connected in parallel. a) Can the same components be both in series and in parallel? b) Can the same components be neither in series nor in parallel? c) Can a circuit contain some components in series, some in parallel, and some neither? 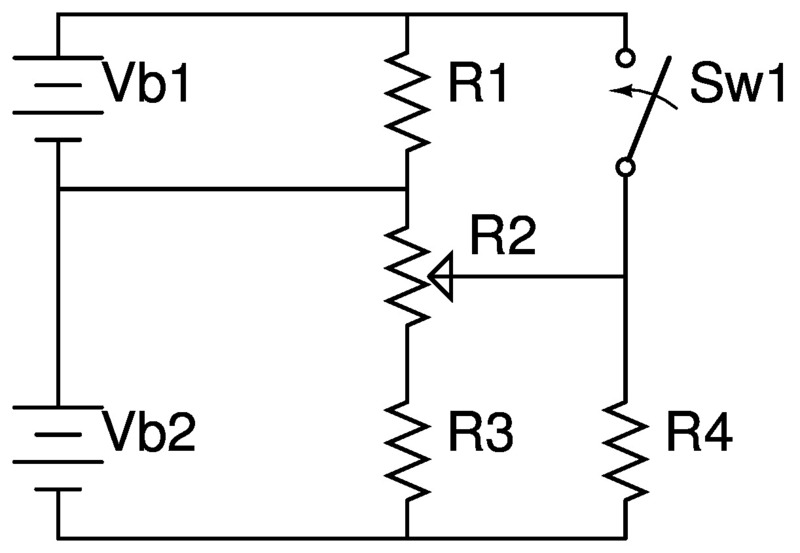 For each figure below, identify which of the components are connected in series with each other, and which of the components are connected in parallel with each other. 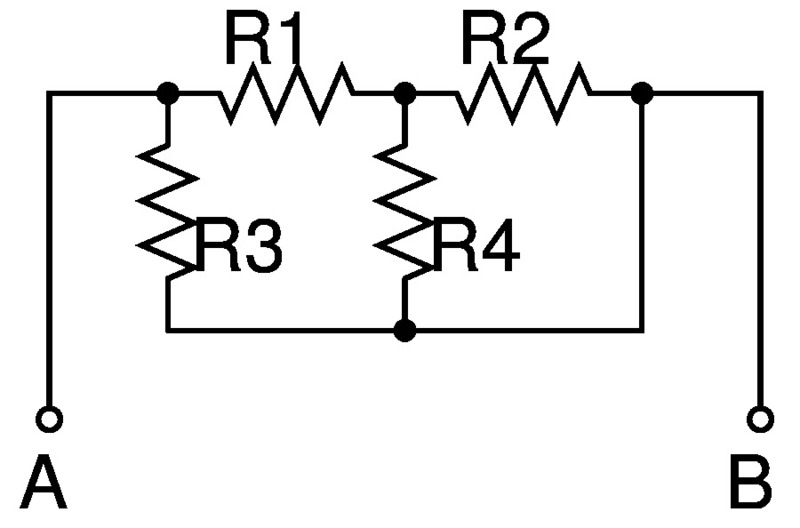 What is the equivalent resistance of two resistors in series? 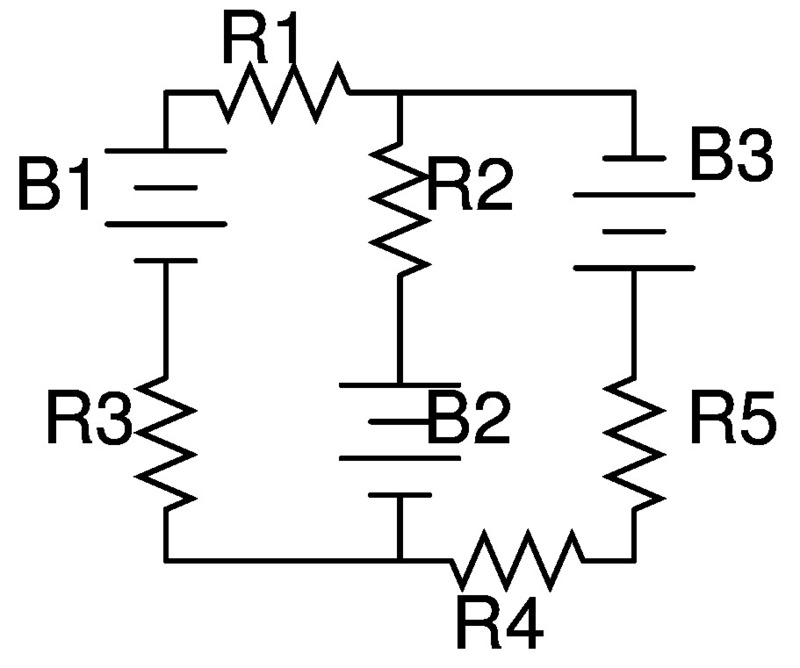 What is the equivalent resistance of three resistors in series? 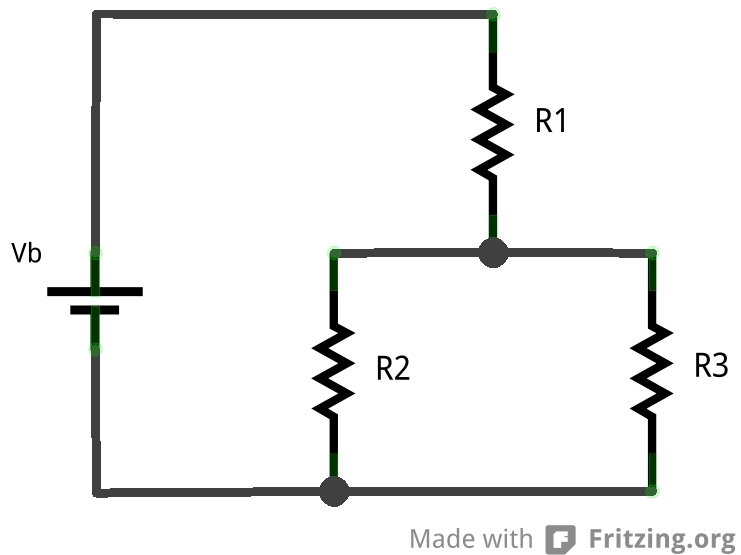 What is the equivalent resistance of four resistors in series? 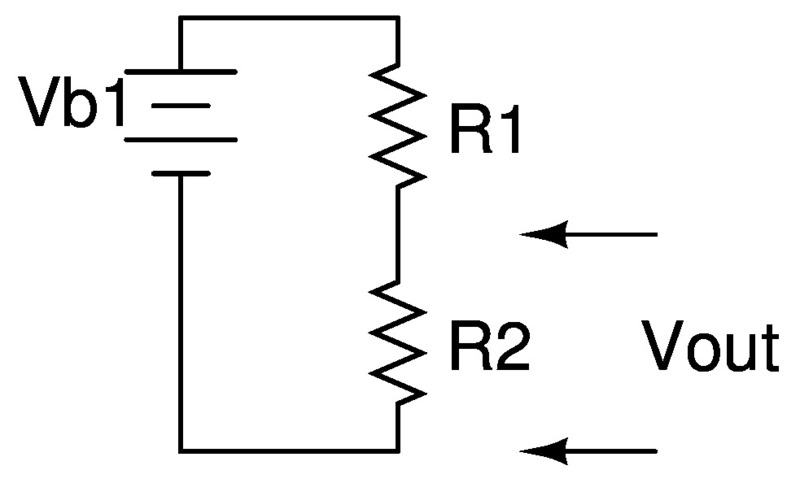 What is the equivalent resistance of two resistors in parallel? 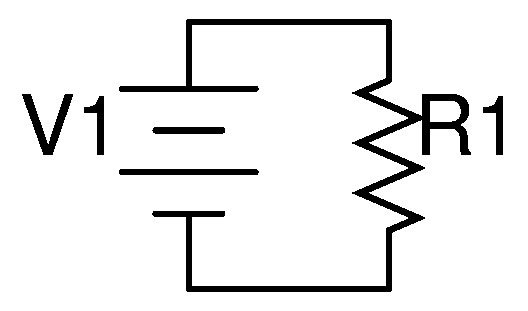 What is the equivalent resistance of three resistors in parallel? 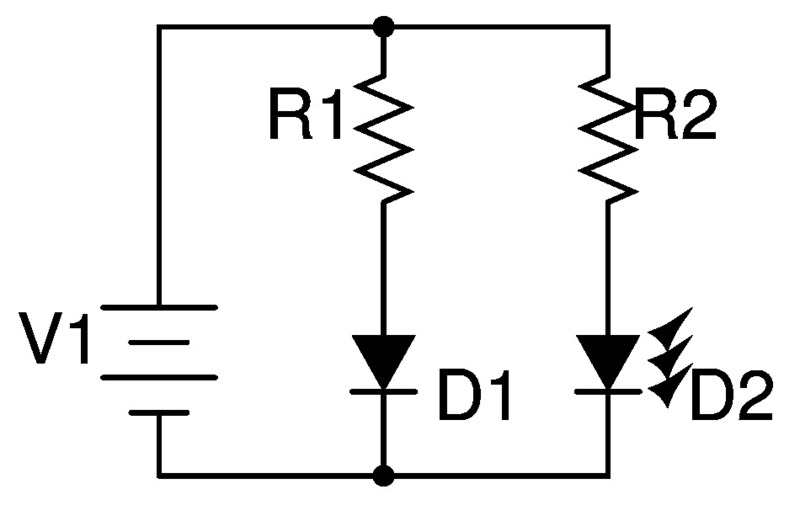 What is the equivalent resistance of four resistors in parallel? 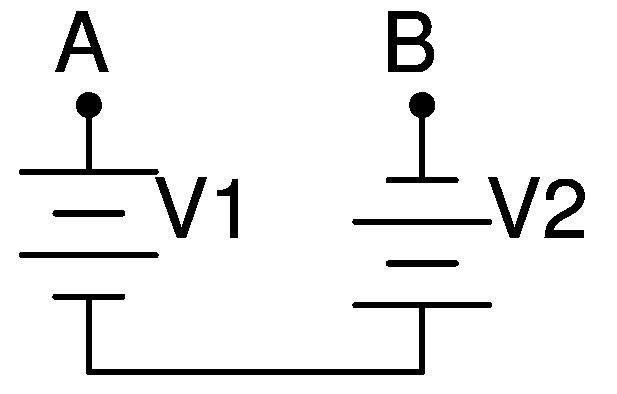 Calculate the voltage drop on each resistor and indicate the polarity of the voltage drop on each resistor with the switch open, as indicated. Next, calculate the voltage drop on each resistor and indicate the polarity of the voltage drop on each resistor when the switch is closed. 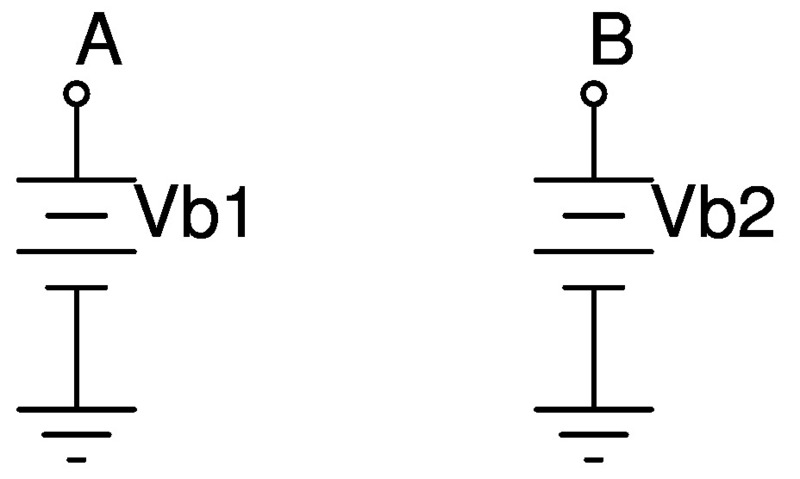 What is the voltage between points A and B? What is the polarity? What is the voltage at point B relative to the voltage at point A? a) What is the time constant of C1 and R1, when only switch Sw1 is closed? b) How long will it take for the capacitor to charge almost to the voltage of the battery? c) What is the time constant of C1 and R2, when only switch Sw2 is closed? b) How long will it take for the capacitor to discharge? What is the voltage on each resistor? 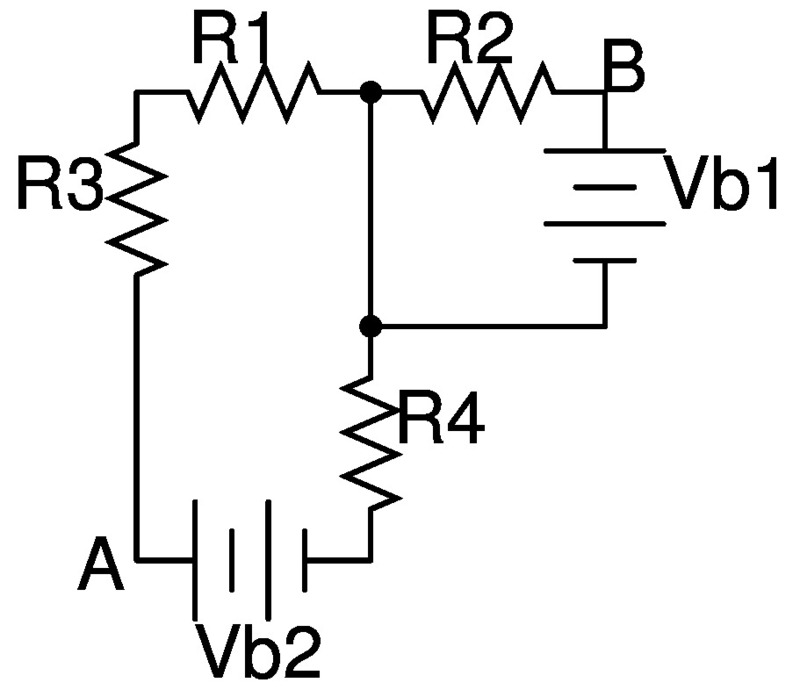 a) What should R2 be in order to limit the current through LED D2 to 25 mA? 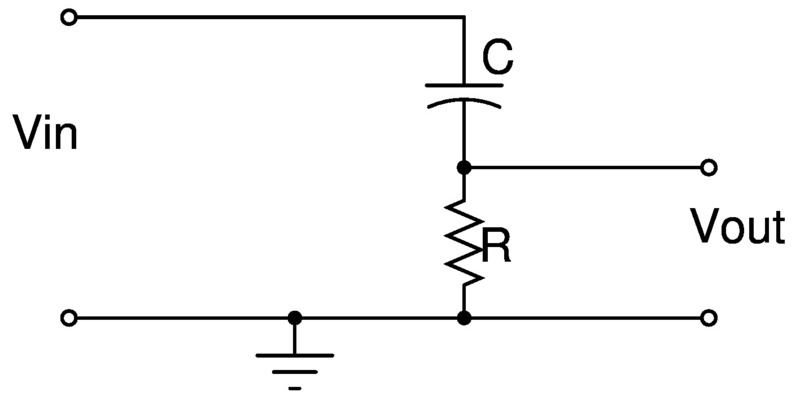 b) What is the current through resistor R1? What colors are the bands on the following resistors? What are the differences between Exercise 30 and Exercise 31? If you were designing a similar circuit and wanted Vout to be as close as possible to Vin, how would you select R1? What are the differences between Exercise 30 and Exercise 33? 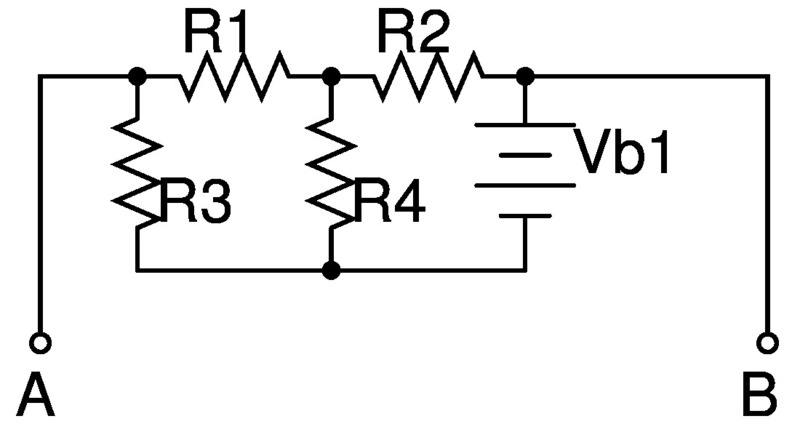 If R3 represents an external device that is to be connected to the rest of the circuit, how should R3 be designed to have as little impact as possible on Vout? 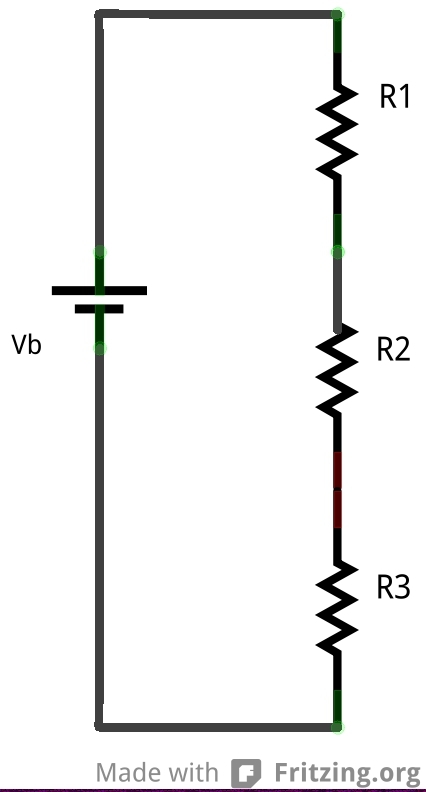 a) What is the voltage drop on each resistor, and what is the polarity? b) What is the voltage difference between points A and B, and what is the polarity? a) What is the voltage at point A relative to ground, and what is the polarity? b) What is the voltage at point B relative to ground, and what is the polarity? What is the resistance between points A and B? a) What is the voltage difference between points A and B? b) What is the polarity between points A and B? a) What is the voltage difference between A and B when the switch is open? 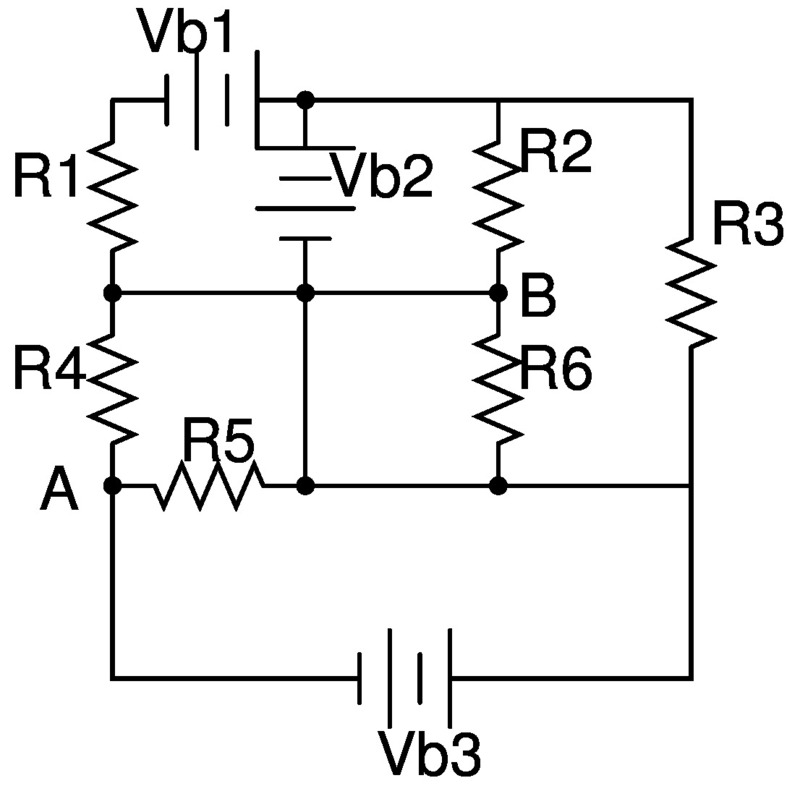 b) What is the voltage drop on resistor R3 when the switch is closed? The box contains unknown components, possibly including power supplies. What is VC, the voltage at point C relative to ground? D1 is an LED. 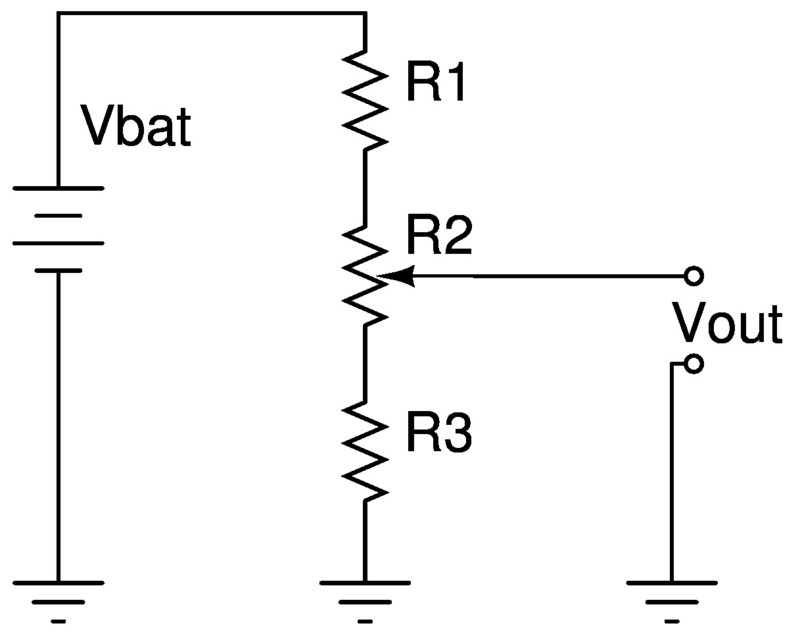 Its forward voltage drop Vf = 2V and the current through it is 30 mA. a) What is the voltage drop on each resistor? b) What is the polarity of the voltage drop on each resistor? D1is an LED. 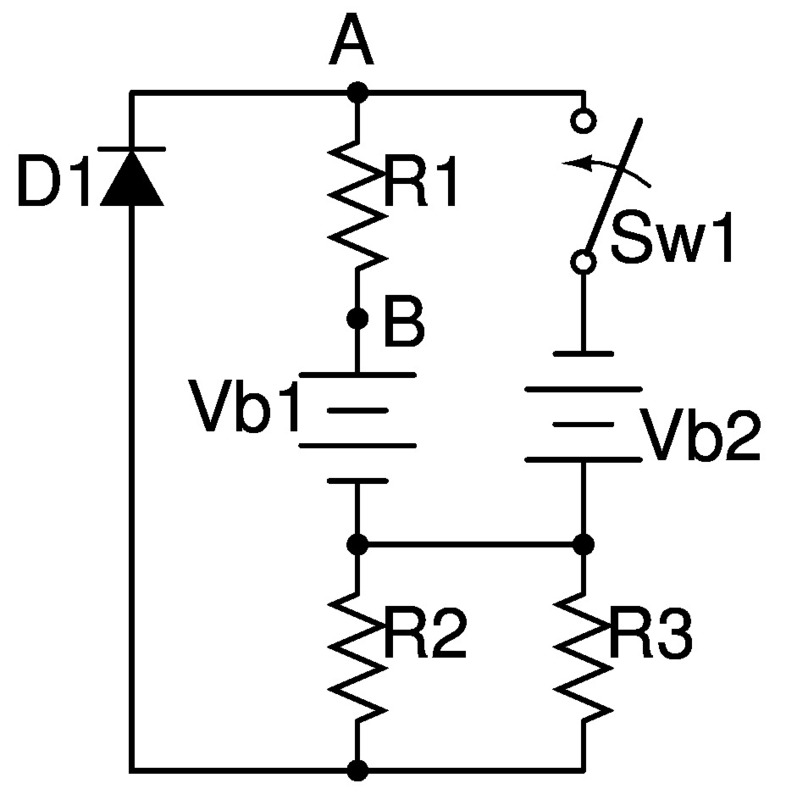 Its forward voltage drop Vf = 2V and the maximum current it can tolerate is 30 mA. a) What switch positions can be safely used? b)What switch position yields the maximum safe current? R1 is a fixed resistor. 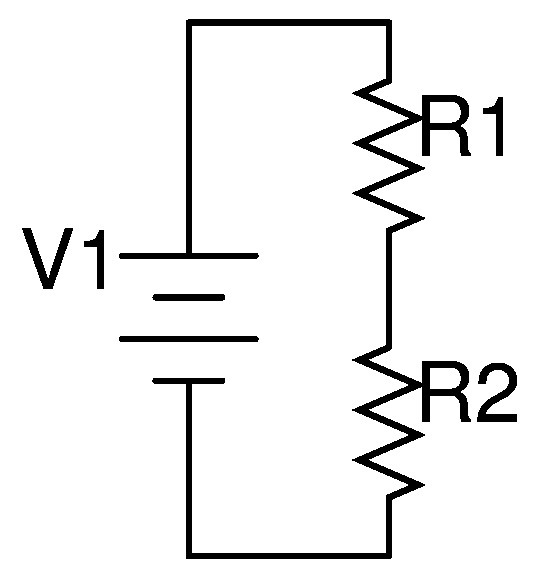 R2 is a photoresistor, a light sensitive resistor. When exposed to light, its resistance decreases. Vout is measured relative to ground. a) When R2 is exposed to more light, does Vout increase or decrease? b) What values of R1 and R2 would make Vout= 3V? a) What type of filter is this? b) What is the cutoff frequency? c) What is the reactance of the capacitor at the cutoff frequency? What do you notice about this value? a) What is the value of Vout before the switch is closed? b) When will the value of Vout change? c) After Vout changes, what will its new value be? a) Starting with Xc, the reactance of a capacitor; Zc, the impedance of a resistor and capacitor in series; the equation for a voltage divider; and the definition of a 3dB voltage drop; derive the equation for f(-3dB), the frequency at which ththe voltage drops by 3dB. b) Why is this this equation the same for a high-pass filter? a) Derive the equation for the gain of this circuit. Note that it depends only on the two resistors. 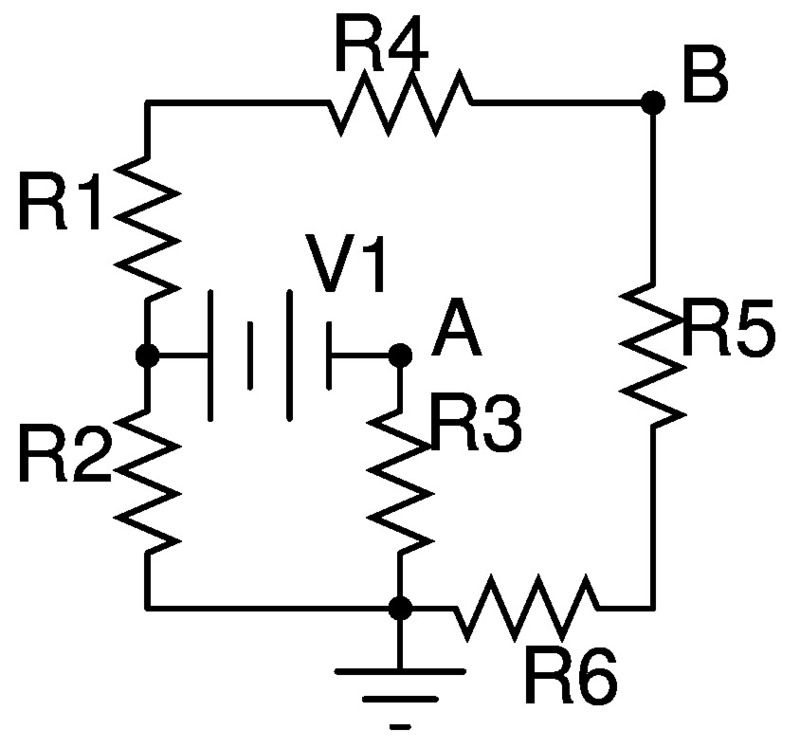 b) Why is this called an inverting amplifier circuit? a) What is the voltage across the capacitor? What is the level, frequency, and shape of Vout? What is the level of Vout? You don’t have to describe the shape. In general, you can not automatically assume that each stage of a circuit can be analyzed in isolation, as if the stage before and after is not present. 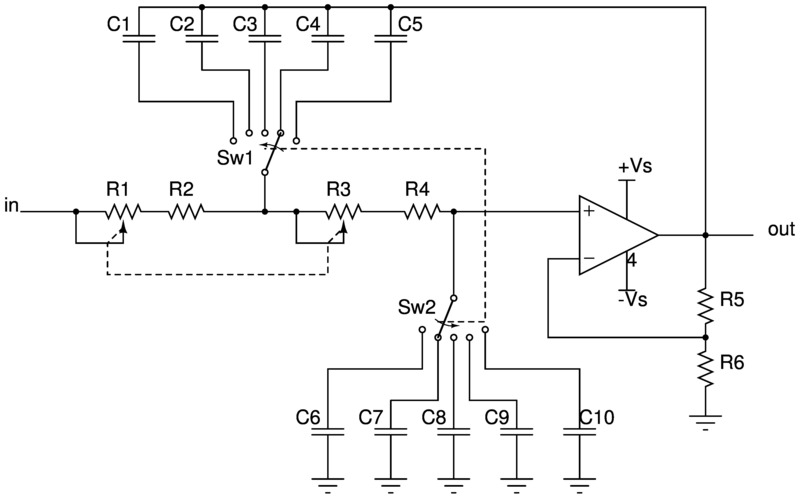 However, in this exercise, you are given the fact that the filter and op-amp can be analyzed independently. What is the value of Vout? 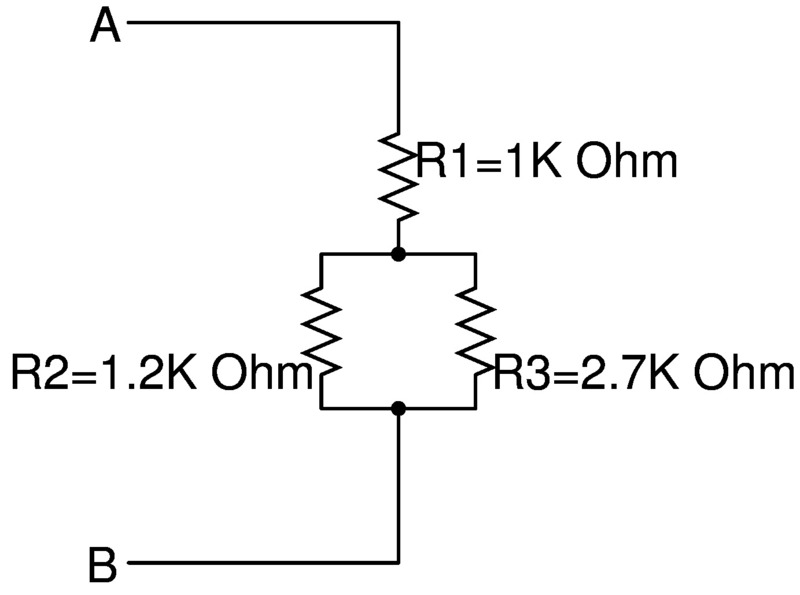 a) What is the value of Ib, the current flowing in resistor Rb? Hint: Calculate first the voltage drop across resistor Rb. d) What is the value of Vout? 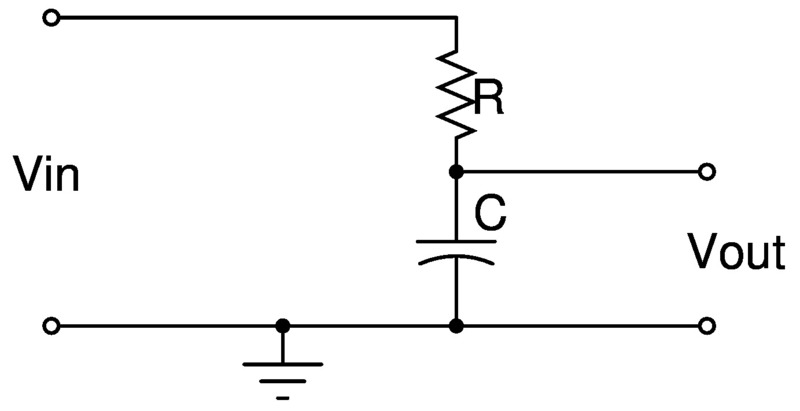 Hint: How does the capacitor appear to DC? 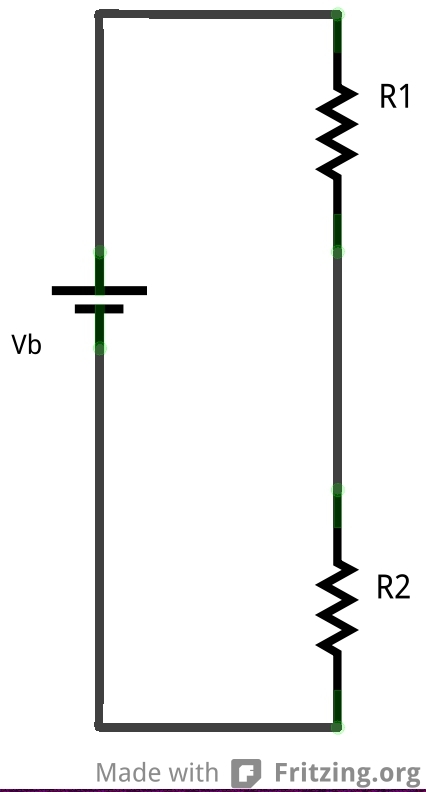 Vout is desired to be about 2V, with R2 set to the middle of its range. a) What is the minimal total resistance of R1, R2, and R3 to meet the maximum current requirement? b) What is the voltage drop on R2 to meet the requirement of the adjustment of +/- 0.2V? c) What is the voltage drop on R1 and R3, so that Vout is 1.8V when R2 is turned all the way down, and Vout is 2.2V when R2 is turned all the way up? d) Choose resistor values for R1, R2, and R3 so that all the requirements are met. Note that there are many answers (actually, an infinite number of answers). 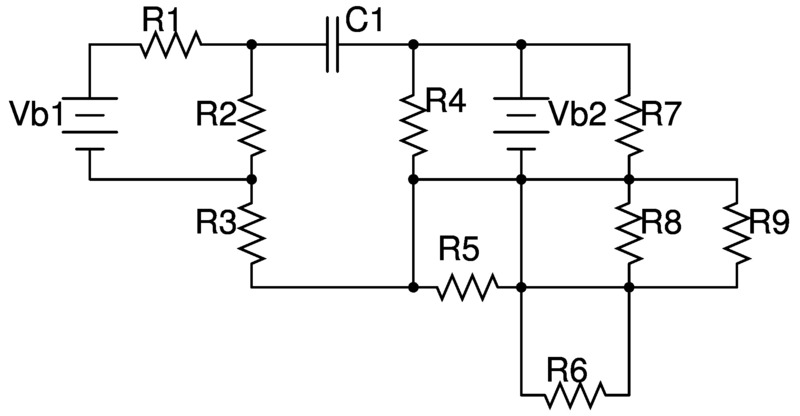 In this active filter, the cutoff frequency (fc) is determined by R1, R2, C1, and C2. 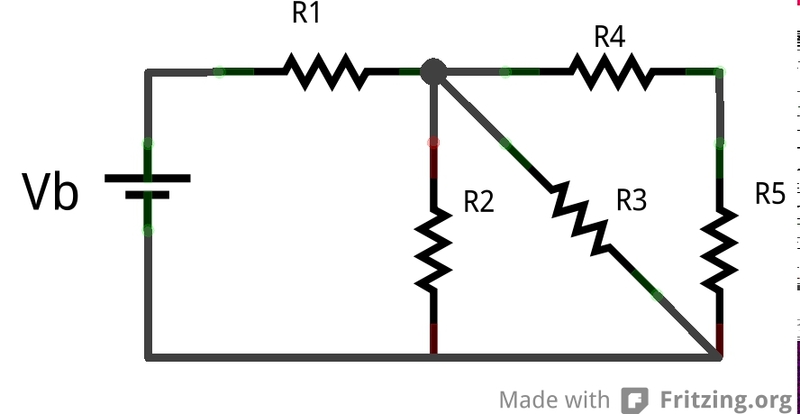 The cutoff frequency can be changed by adjusting either the resistors R1 and R2 or the capacitors C1 and C2. b) Keeping R1 = R2 = 10K Ohm, what would be fc if C1 = C2 = 0.147 uF? c) Keeping C1 = C2 = 0.147 uF, what would be fc if R1 = R2 = 20K Ohm? 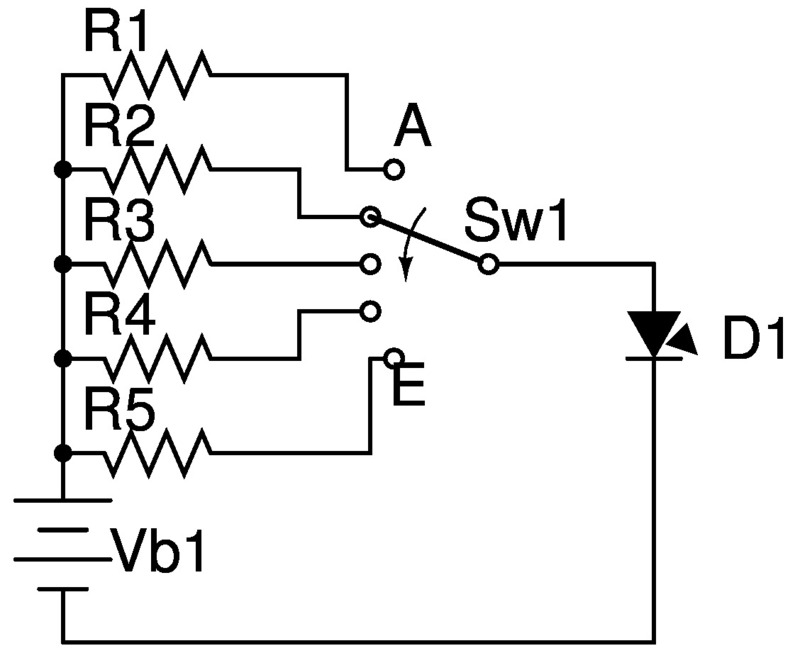 This active filter is the same as exercise 61 above, but capacitors are selected by the selector switch, and the resistors are potentiometers. 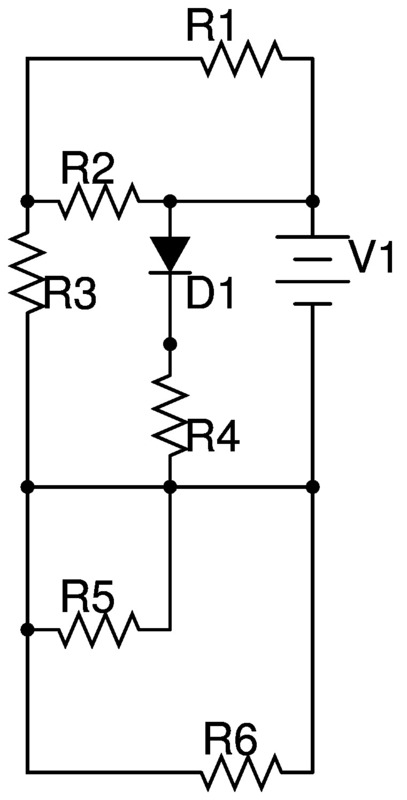 Ganged switches and potentiometers are used in order to maintain equal resistance and capacitance, as is required by this type of filter: Controls (e.g. switches or potentiometers) connected by dotted lines are “ganged”, that is, physically connected so that they are turned together. Sw1 and Sw2 are “ganged” so that C1 and C10 are selected together, C2 and C9, etc. R1 and R3 are “ganged” so that they turn to minimum resistance together, and to maximum resistance together. R1 = R3 = 10K Ohm. Note this is a potentiometer. a) If C4 = C7 = 0.016 uF, what is the cutoff frequency with the potentiometers turned all the way to the minimum value? 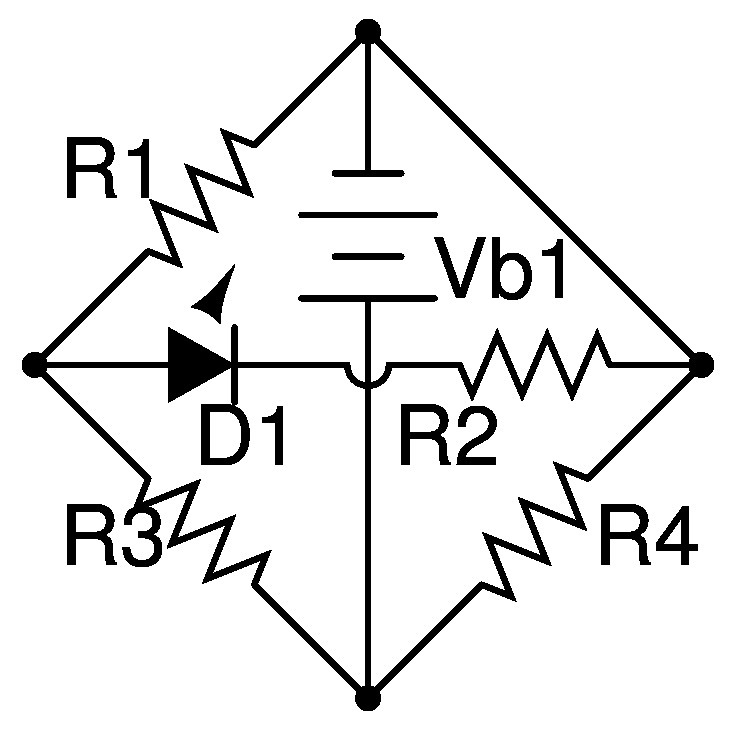 b) If C1 = C2 = 0.147 uF, what is the cutoff frequency with the potentiometers turned all the way to the minimum value? c) If C1 = C2 = 0.147 uF, what is the cutoff frequency with the potentiometers turned all the way to the maximum value? Is this current the same current that is flowing through the battery? Why or why not? Is it the same as the current flowing in R1 and R2? Why or why not? Is it the same as the current flowing in R1, R2, and R3? Why or why not? What is the voltage drop on R1? What is the voltage drop on R2? 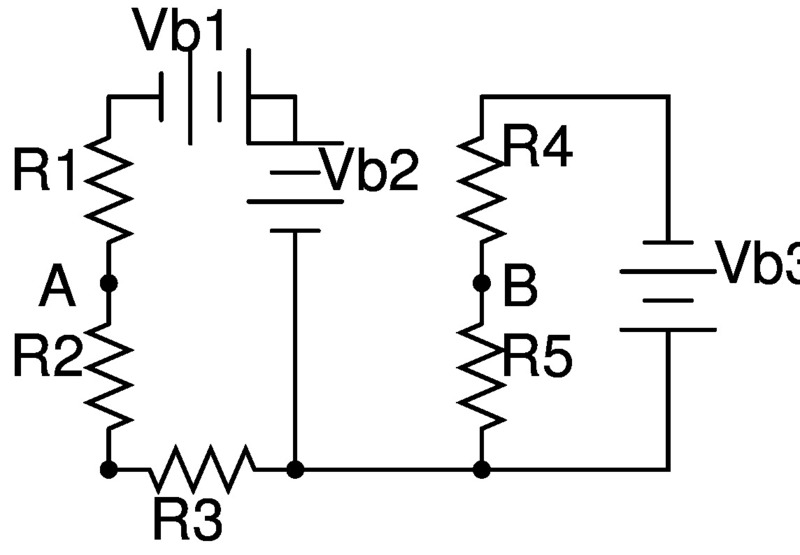 What is the voltage drop on R3? What is the voltage V1? What is the value of R1? What is the value of the current? 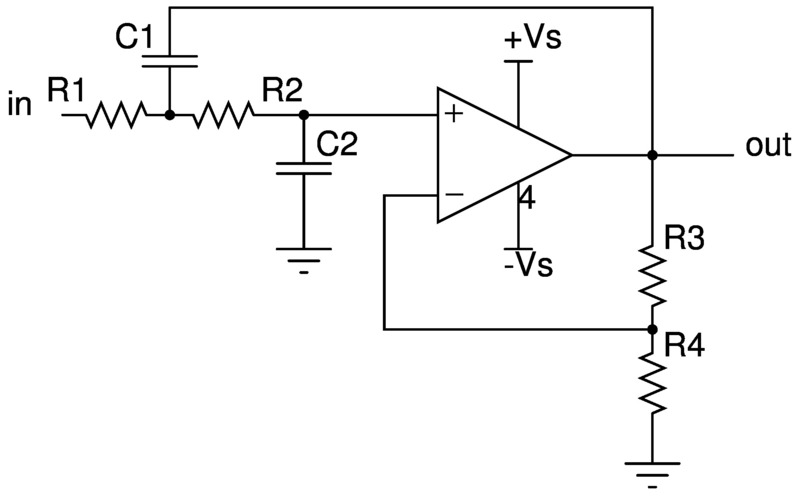 Design a low pass filter with a cutoff frequency of 100 Hz. 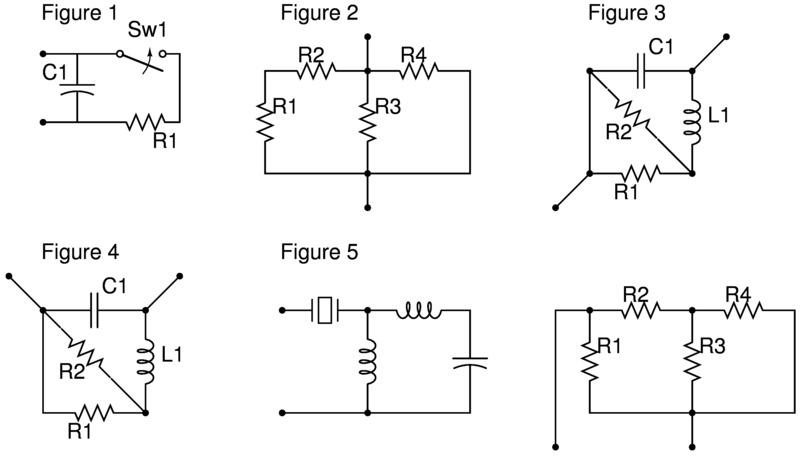 Provide the schematic and select a suitable resistor and capacitor. The resistor should be at least 980 Ohms. 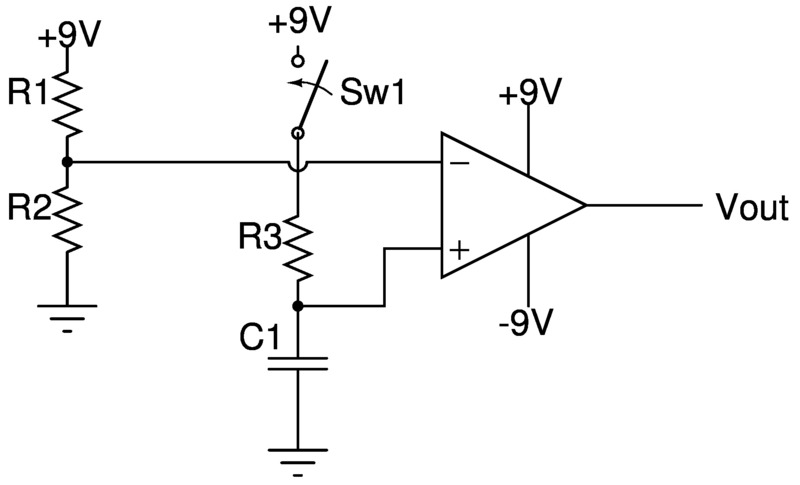 Using a 0.0047 uF capacitor, select a resistor for a high pass filter with a cutoff frequency of 16 K Hz. 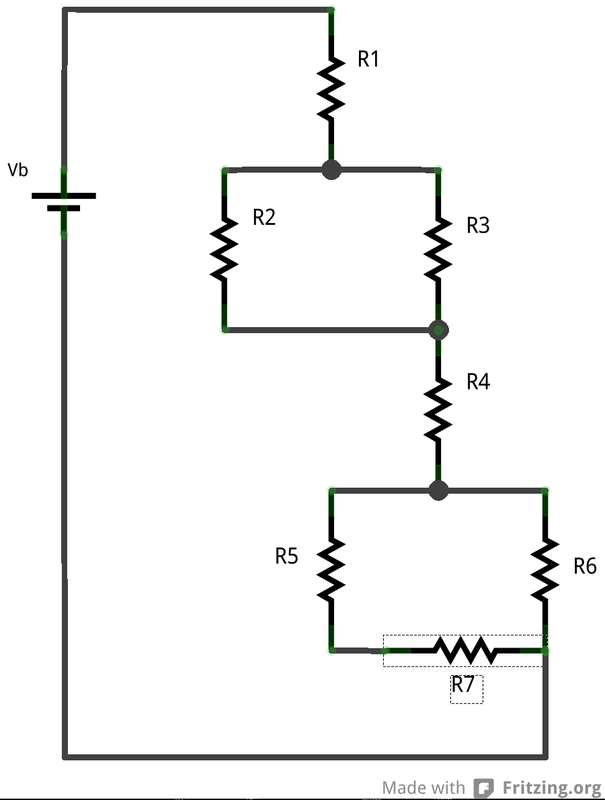 Provide the schematic and select a suitable resistor. 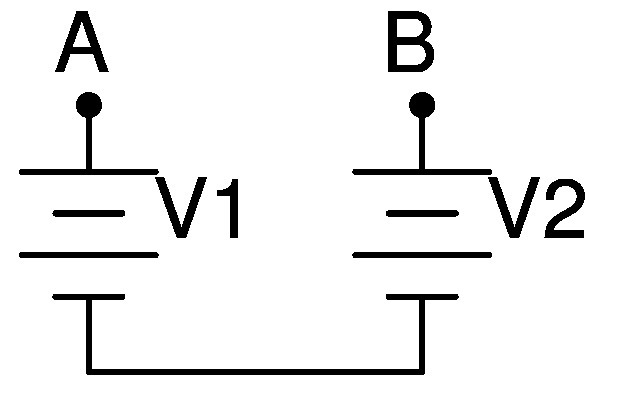 An electronic device is attached to the voltage divider in part 1. 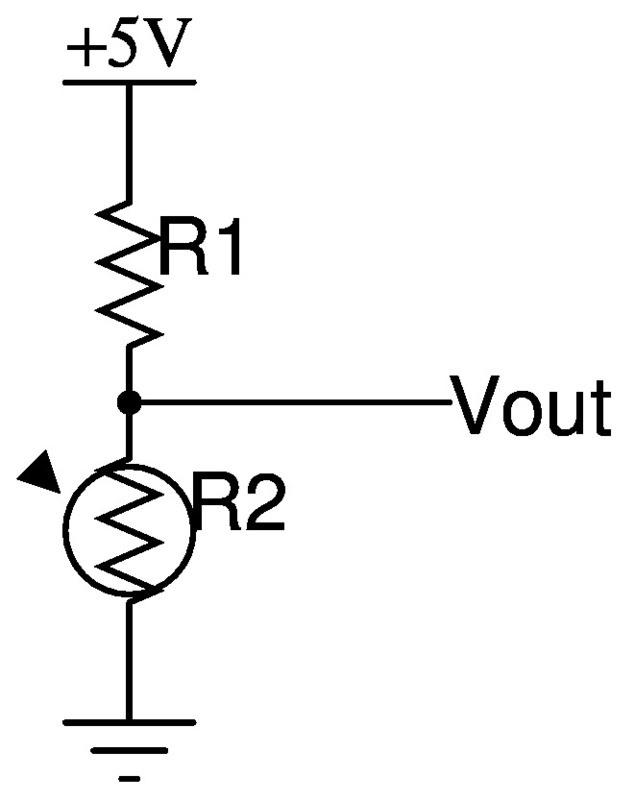 Since the electronic device is essentially a resistor, attaching it at Vout effectively places a resistor (Rint, the internal resistance of the electronic device) in parallel, with R2. 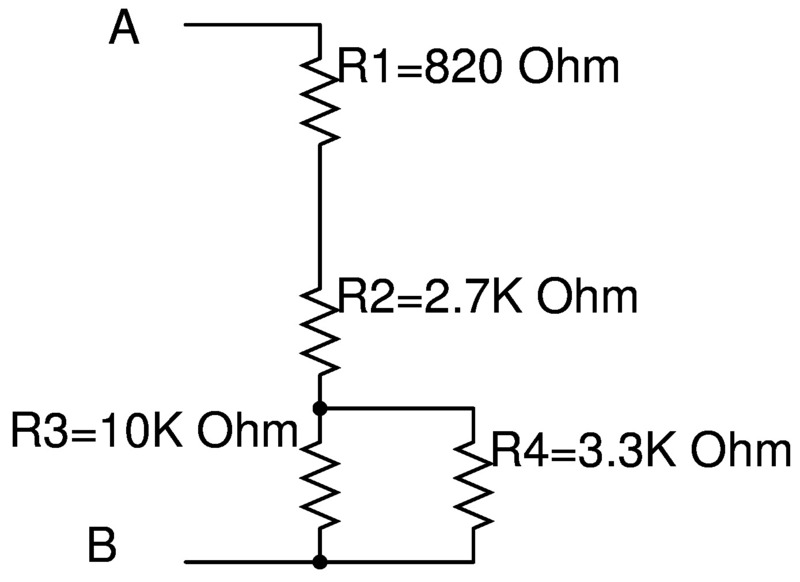 If Rint = 9 K Ohm, what is Vout now? Given the situation in part 2, change the value of R1 to restore Vout to 9V. What should the new value of R1 be in order for Vout to return to 9V? What is the power (Wattage) dissipated in R1 and R2 now? Design a voltage divider for a vacuum tube amplifier. Assume that you start with a 400 V battery. You need to generate 6V, 220V, 330V, and 400V. What is Vb, V1, and V3? 2) What is Vb, V1, and V3? What is I1 and I3? 2) What is I1 and I3? What is the voltage drop on each resistor? 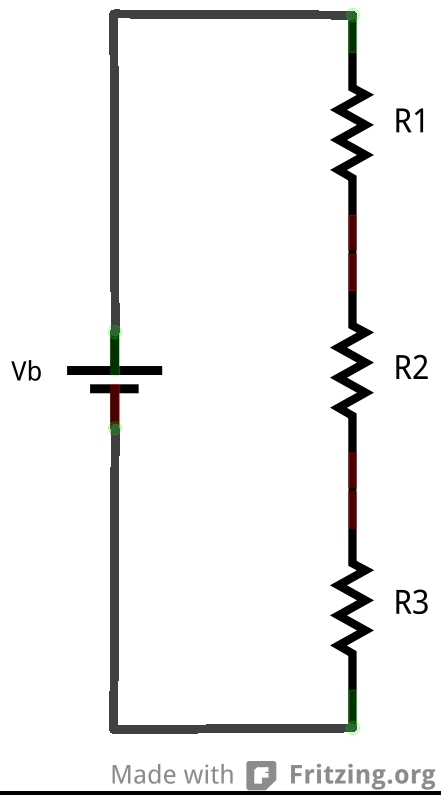 What is the voltage drop on R1 and R2? What is the voltage drop on R1, R2, and R3? 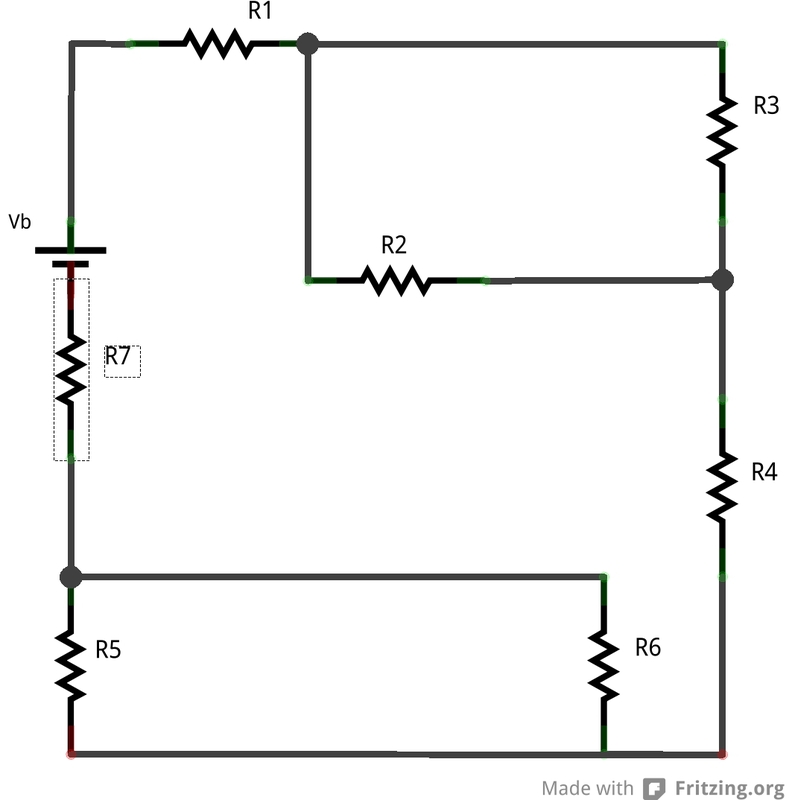 A great resource for learning, as well as exercises with answers is All About Circuits. You could also try googling with keywords “electronics” and “tutorials”. There are many. Perfect. but Where is the answer? I don’t provide answers. This is meant as a pool of questions.